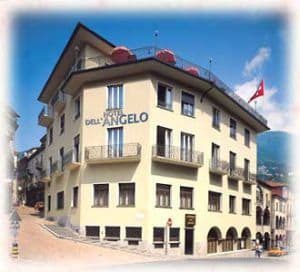 Hotel dell Angelo i Locarno, Schweiz: Reservér nu! The Dell'Angelo Hotel is a completely renovated historic building, located in the centre of town, in the most important area of Locarno, Piazza Grande, just a few minutes from the station and the lake. 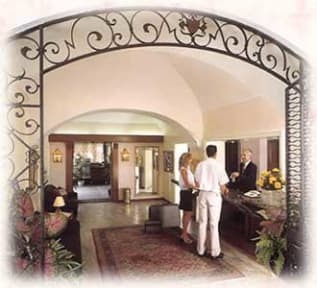 Combining the charm of the past with all modern comforts, the hotel offers a family atmosphere, carefully supervised cuisine with traditional Ticinese and Italian dishes (pizzeria with wood-burning oven) and a cellar stocked with regional and classic wines. The first-floor banqueting room can seat up to 140 people. All 55 rooms are equipped with private bathroom/WC/shower, hair-dryer, satellite TV, radio, telephone and safe; some rooms also have a balcony. In just a few words: the ideal holiday location in a lovely hotel at attractive rates. Cancellation policy: 2 days prior to arrival date. Tourist taxes are not included in the room rate. Tourist taxes: CHF 4.55 per person, per night.